ASUS has recently unleashed some of the best looking X470 motherboards in the market, for the latest AMD Ryzen 2nd generation CPUs. 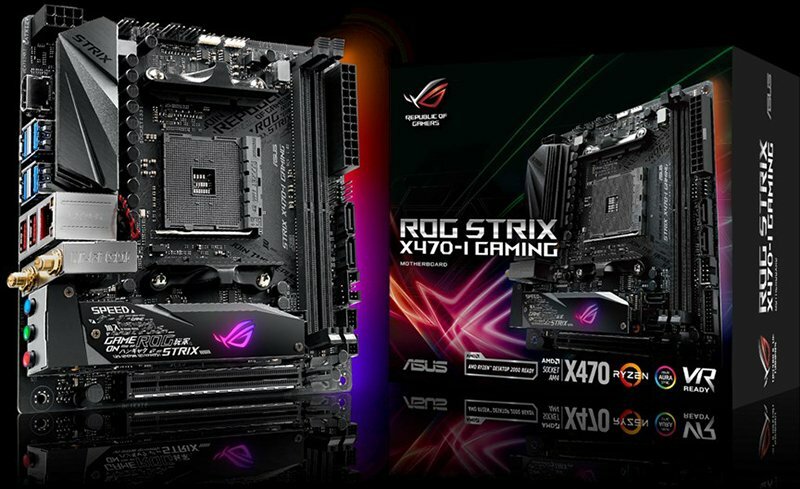 These new X470 motherboards are the: ASUS Crosshair VII HERO (WiFi), ROG STRIX X470-F Gaming, ROG STRIX X470-I Gaming, Prime X470-PRO and the Asus TUF X470-PLUS Gaming. 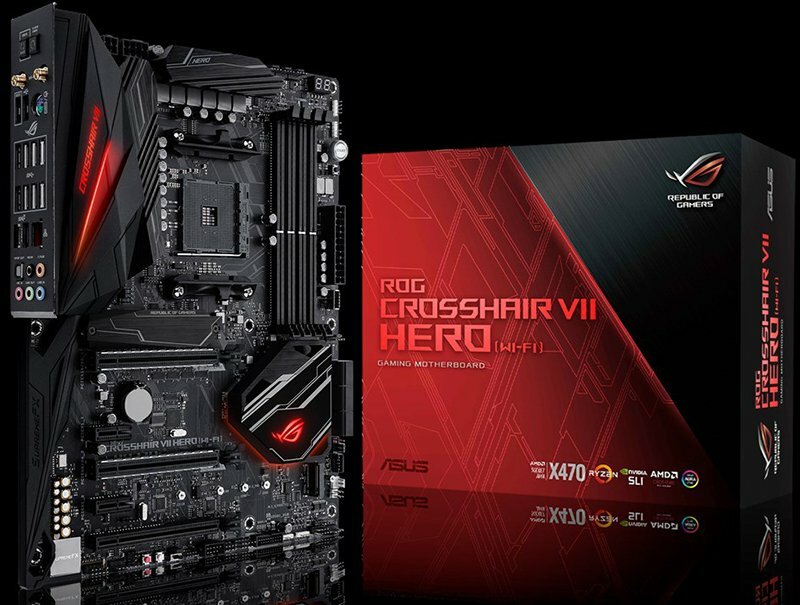 The current flagship – ROG Crosshair VII HERO WiFi comes with an MSRP of $300 USD, and the non-WiFi variant at $280 USD. 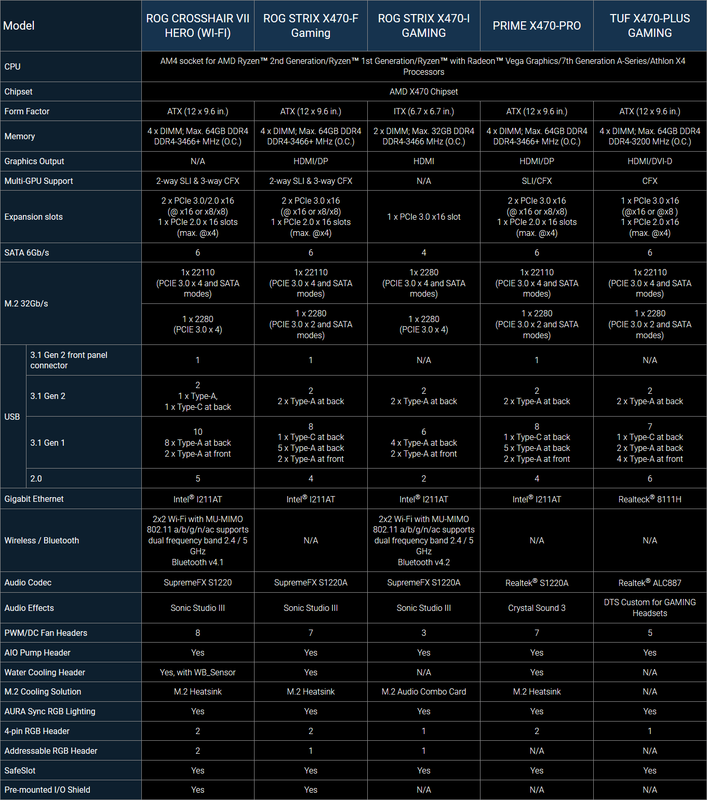 The STRIX X470-F Gaming is priced at $215 USD, followed by the Prime X470-Pro at $185 USD and the TUF X470-Plus Gaming at $160 USD. 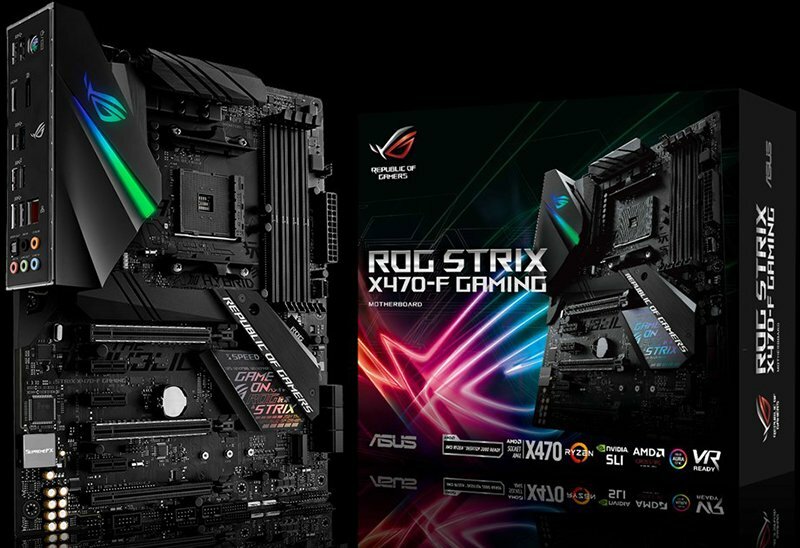 Finally, the smallest but not the cheapest in the lineup, the ROG STRIX X470-I Mini ITX is retailed at $200 USD. These motherboards are now available to order at Newegg.com here together with the new AMD Ryzen 2 CPUs. Check out more features and specifications below. Since its release last year, AMD’s Ryzen platform reinvigorated the desktop with multithreaded horsepower plus accessible overclocking and gaming prowess. That first wave was a market revelation that touched everything from value-packed PCs to high-end gaming and content creation rigs. And now ASUS is ready for the second wave with a fresh family of motherboards based on the new AMD X470 chipset. The X470 chipset is designed to enhance the performance of the next generation AMD Ryzen 2000 series of processors code named Pinnacle Ridge and yet retains backward compatibility with current Ryzen processors. 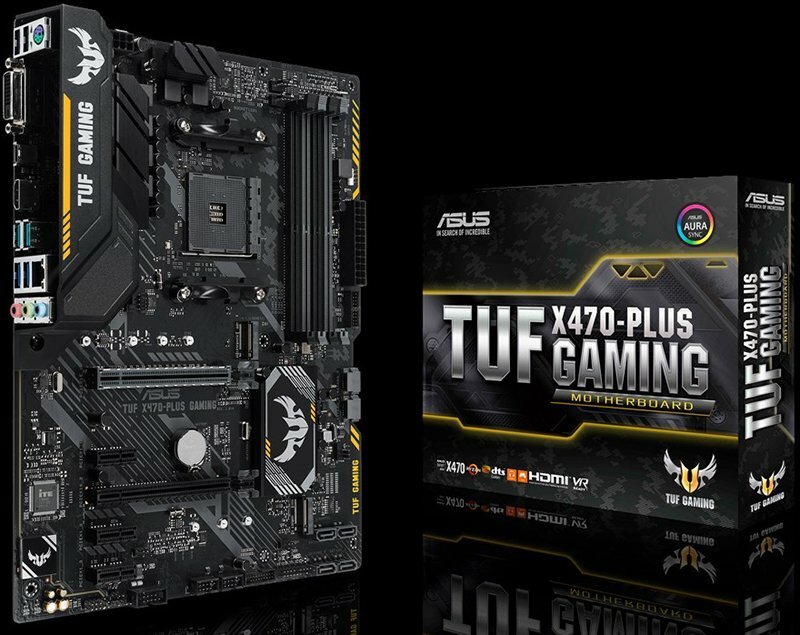 The TUF X470-PLUS Gaming is features military-grade components and an alliance of industry partners with a focus on functional integration that goes beyond cosmetic matching. Outside the increasingly dominant gaming sphere, the Prime X470-PRO provides a mature alternative for the content creation and everyday productivity audience with a new level of user refinement and a design inspired by futuristic architecture. 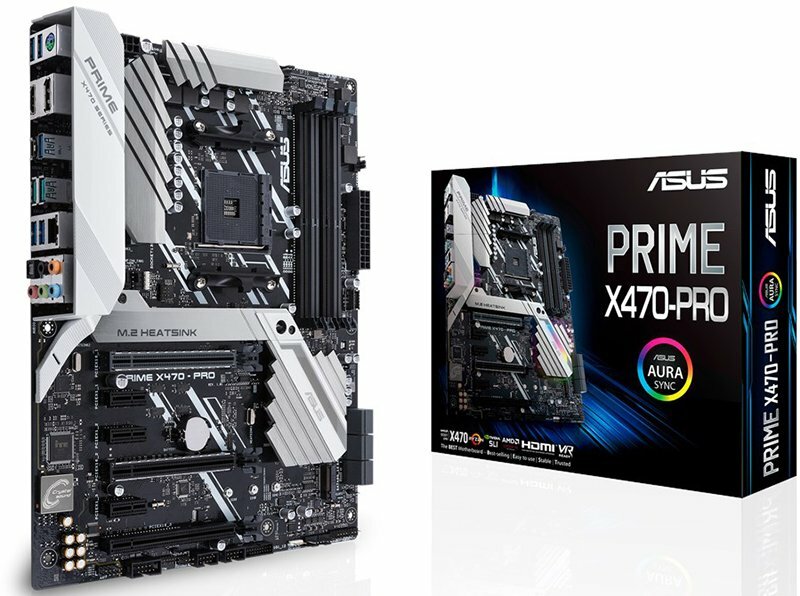 Despite differences within the series, the ASUS X470 Series is bound together by common features and capabilities honed over nearly 30 years of ASUS motherboards. From tuning to cooling to personalization, it’s designed to help users maximize their PC’s potential. AMD’s Ryzen revival promises faster performance than the previous generation, and the abundance of models with unlocked multipliers gives users the freedom to push beyond stock speeds. Even with the luxury of unlocked multipliers, CPU overclocking is limited by cooling and the individual characteristics of each chip. With a single click, the 5-Way Optimization utility accounts for both by automatically tuning fans and testing the limits of the CPU. Its integrated intelligence finds the maximum speed the system can sustain without sacrificing stability, and configurable options allow experts to fine-tune the process to suit their needs. Auto-tuning is backed by extensive manual tweaking options that, in experienced hands, can wring every last drop of performance from a build. A new search shortcut to the UEFI lets users quickly find and modify specific settings without flipping through pages of menus. Once their setup is dialed in, they can export the profile to share with others, and keep a copy to reload after firmware updates wipe the slate clean. The integrated EZ Flash 3 tool simplifies firmware flashing by automatically downloading and applying the latest update entirely within the UEFI. Capable cooling is critical to both reaching and preserving peak performance, especially with Ryzen’s increasingly aggressive XFR clock-scaling algorithm opening the taps when thermal headroom allows. To minimize the accompanying acoustic footprint, airflow should be applied judiciously, only where and when it’s needed. The X470 lineup lays the foundation with a collection of cooling headers for liquid and air. At least one header on each board is configured for AIO water coolers, so users can plug in and go without additional steps, and some models have additional headers for high-amperage pumps and liquid sensors. Connecting fans is just as easy; all the onboard headers automatically adjust for three-pin DC and four-pin PWM hardware, and the built-in calibration routine runs through each fan’s full RPM range to precisely map its behavior before users adjust the response curve. The extensive array of tweaking options on ASUS motherboards is born from a desire to give users as much freedom as possible when tuning their PC, and that ethos extends to cosmetic customization. The X470 Series sets a neutral tone with mostly monochromatic motifs that give users control over colors and effects via varying degrees of Aura Sync RGB lighting. More than just motherboard lighting, Aura Sync coordinates illumination across a growing ecosystem of compatible components covering every aspect of the system, from internal parts to external peripherals. The onboard lighting on the new ROG and Prime models diffuses the harsh glare of naked LEDs to generate a softer, more even glow. All of the X470 boards can power at least two meters of standard RGB LED strips, which is sufficient to light up an entire rig. ROG takes things to the next level with support for addressable lighting devices that expose control over individual LEDs to enable advanced effects and interactions. Some people prefer to keep a lower profile, so the X470 Series motherboards feature a UEFI switch that instantly disables all the RGBs and connected strips. The ROG motherboards go even further with a separate stealth mode, turning off smaller diagnostic LEDs, with the Crosshair VII Hero enforcing a complete blackout across its entire PCB. Heavy graphics cards are a hallmark of gaming rigs, so the PCIe x16 slots connected to the CPU have reinforced metal walls and more secure anchoring to the board. This ASUS SafeSlot treatment strengthens the slot in all directions, helping to protect the motherboard investment against physical damage from rough handling and inadvertent bumps traveling to LAN parties. Ryzen CPUs reserve four PCI Express 3.0 lanes for an NVMe SSD, and the X470 chipset adds two more for an additional drive. Although the double-barreled link has lower peak throughput than its quad-lane counterpart, maximum bandwidth is still over 3X higher than a 6Gbps SATA interface. The X470 Series motherboards all have dual M.2 slots, so users can equip a primary drive for the OS and frequently used games and applications, plus a secondary one to serve as a scratch disk or extra storage for a Steam library. When it’s time to start over, the integrated secure erase tool can wipe both SATA and NVMe drives from right in the UEFI. USB 3.1 Gen 2 connectivity built into the chipset pushes peak theoretical throughput to 10Gbps for external storage and next-gen devices. The X470 Series motherboards tap into that controller for least two ports at the rear, and most of the ATX models also include an internal header for chassis with turbocharged USB ports up front. Intel Gigabit Ethernet in the ROG and Prime series supplies reliable wired networking for serious gaming and fast file transfers. Onboard wireless is available on the Crosshair VII Hero (Wi-Fi) and Strix X470-I Gaming, adding convenience without giving up too much speed. Audio enhancements like shielded codecs and premium capacitors are present across the lineup, and ROG adds dedicated amps to boost output for a range of headphones. Since input quality is increasingly important for streaming commentary to followers, coordinating strategy with squad mates, and calling into remote meetings, ASUS engineers upgraded the microphone input on the ROG and Prime boards.